If you never used the MacOS before, then this guide will help you to install Gang Beasts on your Mac device. Follow the step-by-step instruction below to learn how to download and install Gang Beasts for Mac. 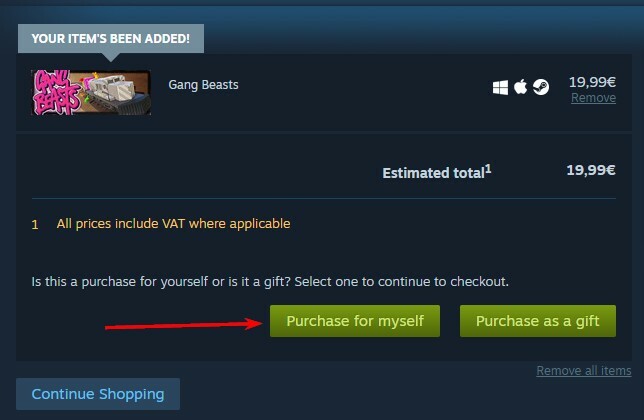 There are many ways to download Gang Beasts for a Mac, but the most popular one now is to buy it from Steam. Steam is a special game hub service, that provides you with access to dozens of popular PC games both paid and free. You can buy the Gang Beasts there too. If you don’t have a Steam account yet, you can simply download and install the Steam app to your PC or laptop or just create an account on the Steam site. Before you use Steam to buy a game, complete the registration and create an account. It will take you only a few minutes. After you’ve got the Steam account, proceed to download the Gang Beasts to your Mac. After the downloading is completed, you will see the notification. Go to your account Library and find the Gang Beasts. To install it, click on the Install button. Now you can run and play it from Steam client or create a desktop shortcut to have access to the game directly from your Mac.